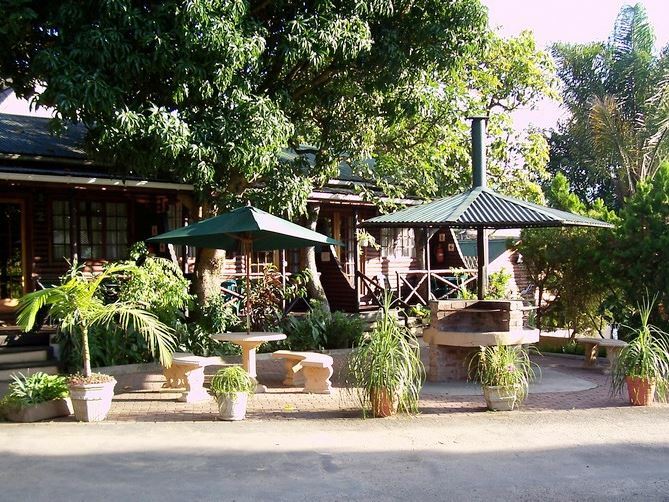 The Spotted Grunter Resort is nestled between two mountains, Mount Thesiger behind the resort and Mount Sullivan across the river. These two mountains form the heads at the river mouth that flows into the Indian Ocean. Port St Johns is really known for its fishing, especially grunter, salmon or cob and garrick. We therefor had no choice but to call our piece of heaven next to the Umzimbubu River, The Spotted Grunter Resort. Our peaceful, small and exclusive paradise is just waiting to be filled with happy faces and families having a good time and enjoying themselves. 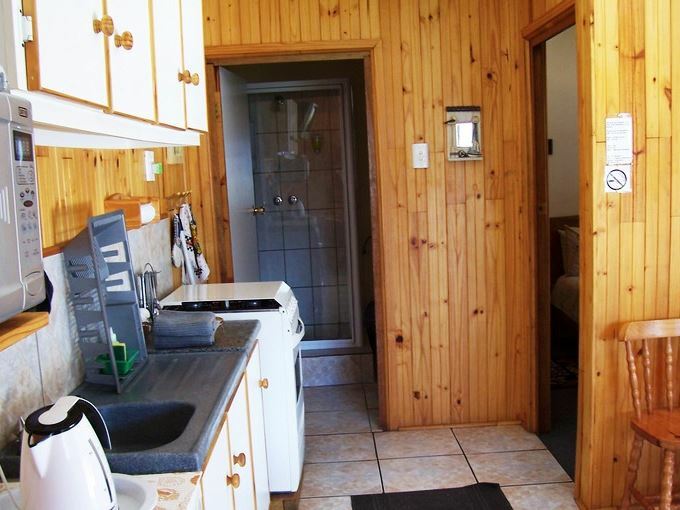 <br /><br />Our luxury log cabins are fully equipped with microwave ovens, gas stoves and fridges. 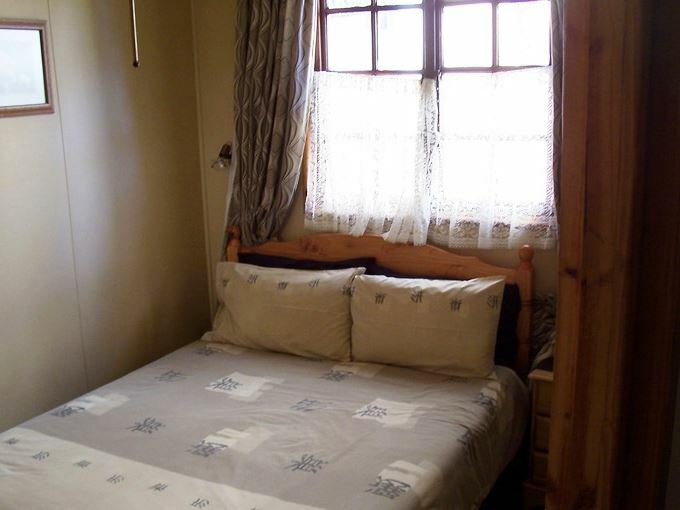 We also provide bath towels and toiletries. 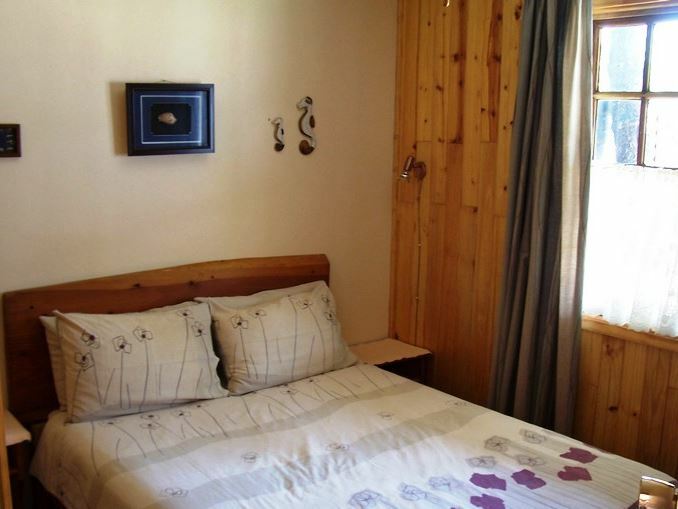 There are fans and heaters in the bedrooms and lounge, and we have safes in the cabins for your valuables. 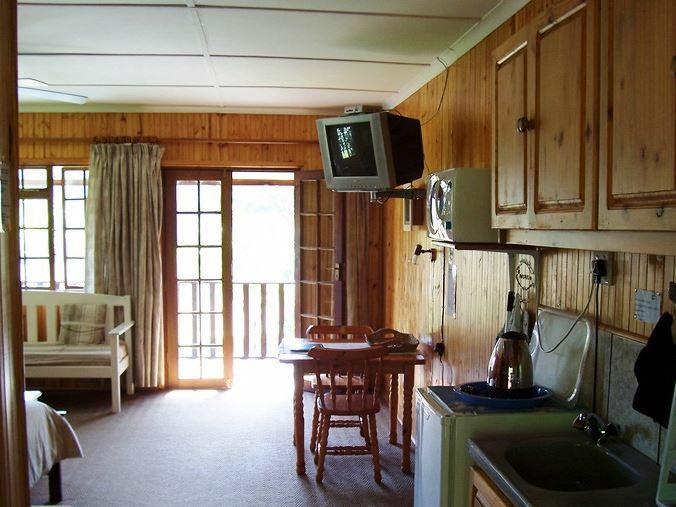 We provide tea, coffee, sugar and creamer, and there are TVs in all our cabins with local or DStv channels.<br /><br />The cabins consist of a kitchenette, an open-plan lounge and dining area, and a bathroom with gas-heated water showers. 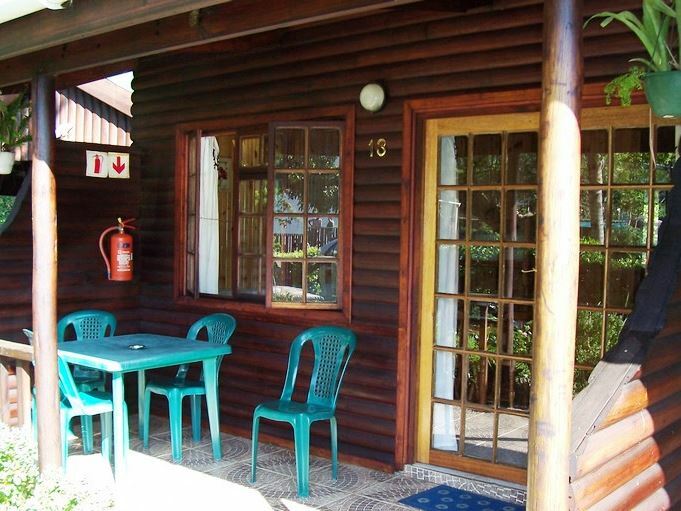 All cabins have their own braai area and private deck and each cabin also has its own secure allocated parking. 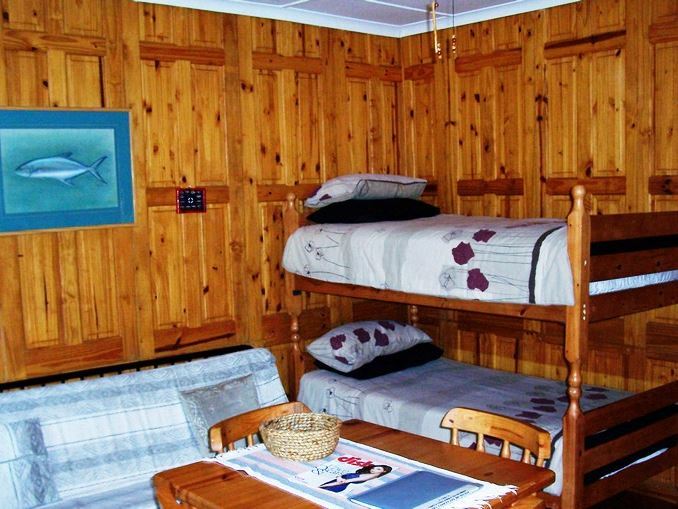 We are pet friendly, and there is a cabin which is wheelchair friendly as well. 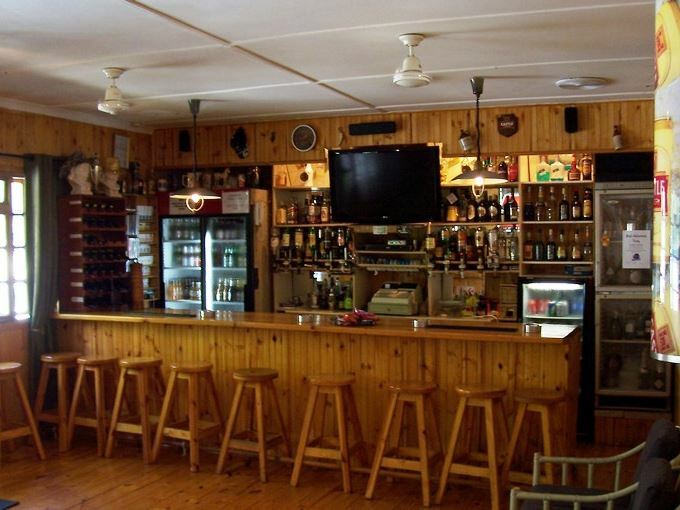 Rates can be provided on a bed and breakfast or full board basis.<br /><br />The Anglers Arms Bar is a fully licensed watering hole, with a wide variety of beverages and snacks. We also have a pool table and darts board. Our restaurant serves a wide variety of dishes and you can enjoy your meal inside or on our deck overlooking the resort and river.<br /><br />At our reception, you will find a small bait and tackle shop where you can purchase everything needed to go fishing. We also stock the necessities like toothpaste, deodorant, bug repellent, shirts and a small selection of kid&apos;s toys, and you can purchase everything needed for a braai at reception. 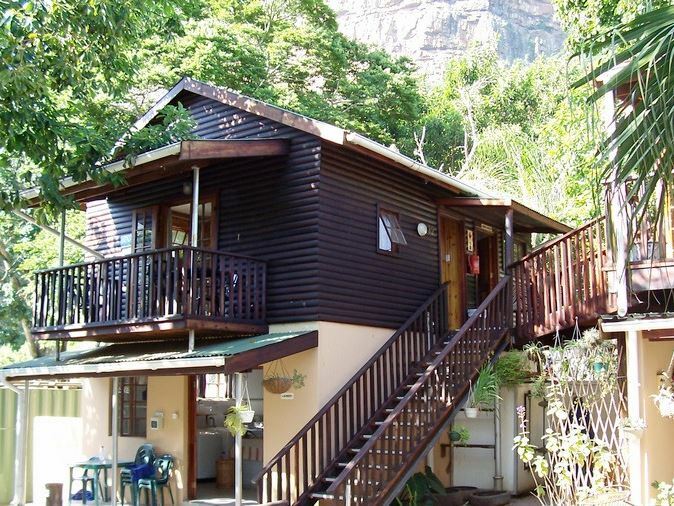 <br /><br />As we are situated next to the Umzimvubu River, you can easily sit on our river bank and do some fishing. We also have a small jetty and boat launching slip way, so you can bring your boat along. "My family of 5 booked into spotted grunter resort....We had the most amazing time. Vernon and Cindy were very friendly and helpful. The breakfast was lovely and we enjoyed it. If you need bait or tackle you can purchase at the resort itself. Very peaceful and relaxing." "We were very impressed with the resort, setting is beautiful and the signage to the resort are good. Security very good for our bikes, bar facilities and restaurant food was adequate and good for Port St Johns. We do unfortunately have an issue with the billing. We booked a 3 sleeper unit and were under the impression that there were 2 separate rooms, not 1 bedroom and the other room been a lounge. We were kindly offered an additional room but not advised this would be at an additional charge. We did find that a number of the resorts along this coastline were managed by a local manager and the communication between the resort and the "off site" booking office were not good and or clear." "Was a lovely one night stopover. The Manager and staff were super friendly and helpful."